FAQ & Stuff You Should Know! Choose one of the below options to find your SteamID, not both! Finding your SteamID may sound difficult at first but it's actually a simply process with only a few commands entered, I'll be formatting the following guide in steps to make it easier to understand and read, additionally I will be including a large amount of Pictures to help you throughout the process of finding your magnificent SteamID. 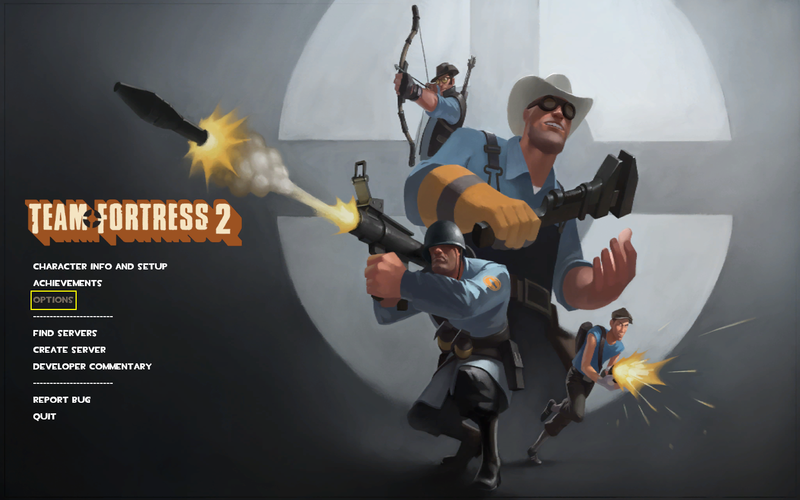 Step 2: Now that Team Fortress 2 is launched on the left side of the screen in the middle Left Click on Options with your mouse, when you have done this proceed to step 3. 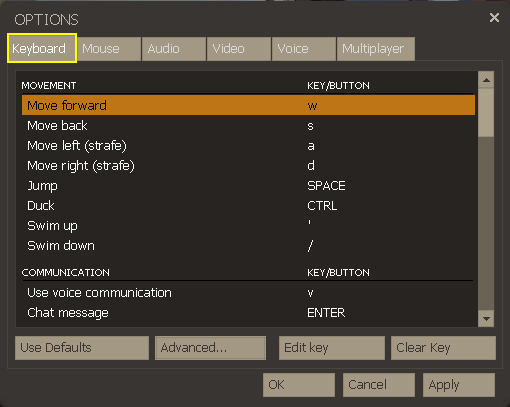 Step 3: From the options menu Left Click on the Keyboard Tab which is located at the Top Left of the Option Box, once you have the Keyboard Tab selected move onto Step 4. Step 4: At the Bottom Middle of the Options Box Left Click on the Advanced Options Box and check the Enable Developer Console option, when Advanced Options look like the image below Left Click Ok on both the Advanced Options Box and the Regular Options Box when all of that is done proceed to Step 5. Step 5: Now that Team Fortress 2 has launched you will see a few options on the Left Side of the screen in the middle, left click on Find Servers using your mouse and proceed to Step 6. Step 6: Now that a new window has appeared, select the Favorites at the top of the Server Browser (Yellow Square in Below Image) and proceed to connect to any of your favorite servers, if you do not have any favorites servers connect to any server that appears in the Internet tab. Step 7: Once you have connected to either a server in your Favorites or Internet Listings press the Tilde Key (~) to open the Console Window and proceed to type Status into the box left of the Submit Button, Left Click on Submit after you've typed status into the box like the below image. Step 8: After entering Status into the Console you will be receive the following output in the larger box directly above where you just typed in Status. 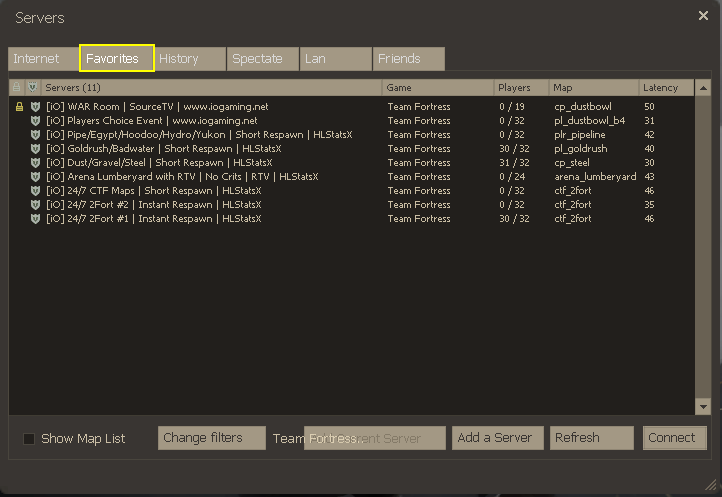 Find your name in the list of people that are connected to the server, once you're sure that you have located your name your SteamID will be located in the Yellow Box pictured in this image. This will not be the same as your SteamID as every SteamID is unique. Finding your SteamID may sound difficult at first but it's actually a simply process with only a few steps required, I'll be formatting the following guide in steps to make it easier to understand and read, additionally I will be including a large amount of Pictures to help you throughout the process of finding your bootylicious SteamID. Step 1: Navigate to the iOGaming Homepage and Left Click on Team Fortress 2 which can be found under the Games Tab near the top of the website, in the image below what you left click on is surrounded by a Yellow Box. Step 2: Once you have navigatedyour way to the Team Fortress 2 you will see a box labeled Team Fortress 2 Related Links, Left Click on the Stats in Red, pictured in the image below surrounded by a Yellow Box. 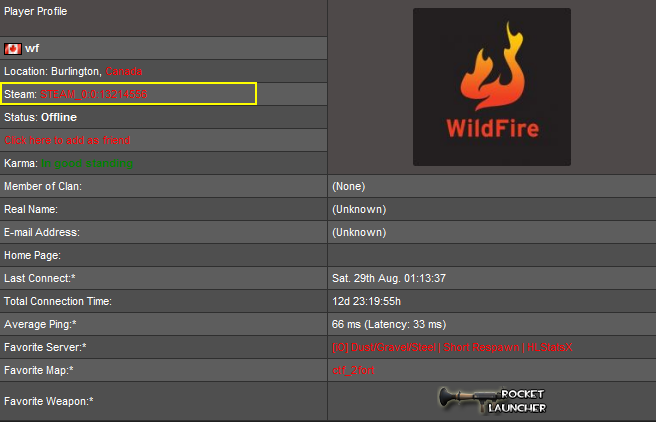 Step 3: Now that you're on the Team Fortress 2 Statistics page you will see a Search Box near the Top Left of the Statistics Site, enter the name You Use On iO's Team Fortress 2 Servers, and Left Click on "Search", pictured in the below image we are searching for myself (WildFire). 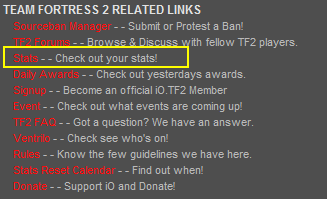 Step 4: After searching for your name you will be Re-Directed to your Statistics page automatically, there are a number of fields on your Statistics Page but all we're interested in for this guide is the SteamID beside the Steam field, this is where your SteamID is located on your Statistics Page, this is pictured as a Yellow Box in the image below. Great I have my SteamID, Now what!? We're going to be adding your SteamID to your Profile, there's a mind blowing total of 3 steps to doing this, it's really been simplified on the new website to help ease you along the process. Step 1: Now that you have your SteamID from using one of the two options above, Left Click on Profile at the top of the website which is located on the brand new eStalk Navigation Bar and continue on your epic journey to Step 2. Step 2: Once you are in your profile move about Half Way down the page until you see the SteamID field, enter the SteamID that you found either on HLStatsX or in Team Fortress 2, when you have entered your SteamID you may once again continue to the next step in your epic journey! Step 3: Press Save Changes at the bottom of the web page and you're done! Thank You For Reading My Guide! Last edited by WildFire; 11-19-2009 at 09:46 PM. very nice guide, thanks for this. CAN WE GET THIS STICKIED? 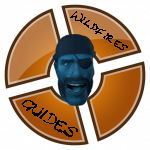 WildFire, you really do rock bro! Yoda says: "With you may the grammar be. Yes hmmm." This thread could be linked to http://iogaming.net/signup for the "(How do I find my SteamID)" text. 2 birds one heat seeking stone. Nice job again Wild! Thumbs up for ya! This was easy...but you should change the first paragraph and add "Choose one of the following..." to find your steam ID. I did both simply by following your steps...didn't know what I was doing!